Jelly Belly are the iconic Jelly Bean manufacture but are now lending their brand and flavours to phone cases. This is one of them, the Jelly Belly Scented Case for the iPhone 4/4S. It's definitely one of the more novelty cases I've ever had chance of reviewing. I have the red Very Cherry case and guess what? The entire case smells exactly like cherry. It's so pleasant and after five days of solid usage, the scent remains strong. Jelly Belly claim it lasts for several months. The scent does rub off on clothes and sticks to the hands, I rather like the smell so it's not a problem. Each scent represents the colour of the case and a total of twelve favours are available. These are Berryblue, Blueberry, Bubble Gum, Candy Floss, French Vanilla, Green Apple, Grape, Liquorice, Strawberry Cheesecake, Top Banana, Very Cherry and Wild Blueberry. The case is unsurprisingly a jelly gel like skin, the plastic used is very flexible and soft, yet grippy. The iPhone is relatively easy to insert, the case wraps very tightly around the iPhone. The bezel of the iPhone is hardly intruded upon, leaving an unhindered experience when in use. The softness of the case untied with the thinness and lightness makes it very comfortable to hold too. Cutouts are placed within the Jelly Belly Scented Case for the iPhone's rear speakers, 30 pin dock connector, mute switch, sleep & wake button. The volume rockers are covered by the cases own plastic moulded ones, usually cases that cover buttons, cover the sleep & wake button also. The rear camera and flash are also cutout but I rather admired that their cutout in the shape of a jelly bean. 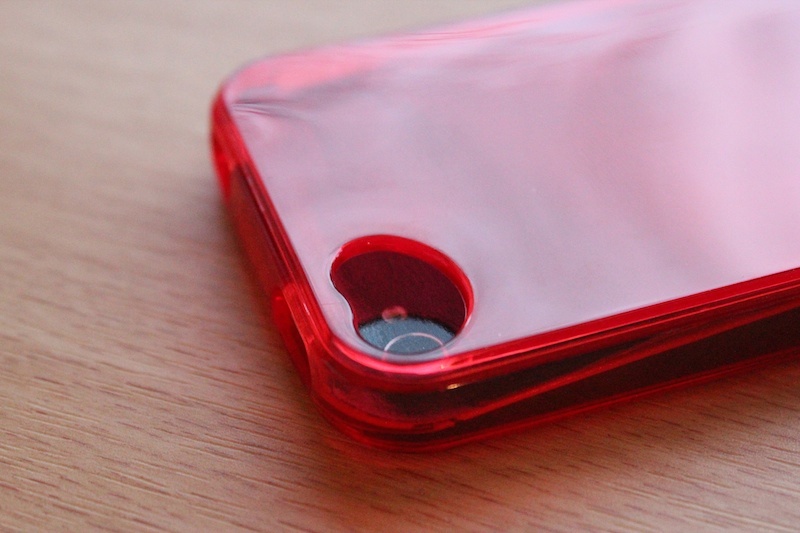 The sides and rear of the iPhone 4/4S are covered by the rubberised scented case. It's ideal protection for pocket and bag usage, preventing damage coming to your phone from mild impact drops, bumps and scrapes. But the phones screen is totally uncovered and screen protectors may rub off from the edges due to the tightness of the case. Overall I loved the Jelly Belly Scented Case for the iPhone 4/4S. The idea of scented cases is a novelty, which makes it so appealing. But it just so happens that this is a very well made case too, it feels great in the hands and allows for full access of the iPhone's features. Each case retails for an affordable £14.99, avaliable from the Carphone Warehouse, O2, Sainsbury’s, Dixons, Fenwicks, Claires and Amazon. Each also includes a 10g bag of Jelly Belly Beans.